Ever wonder what the best way to fasten a booklet or pamphlet is? If you've struggled with using regular staplers before, we can relate. 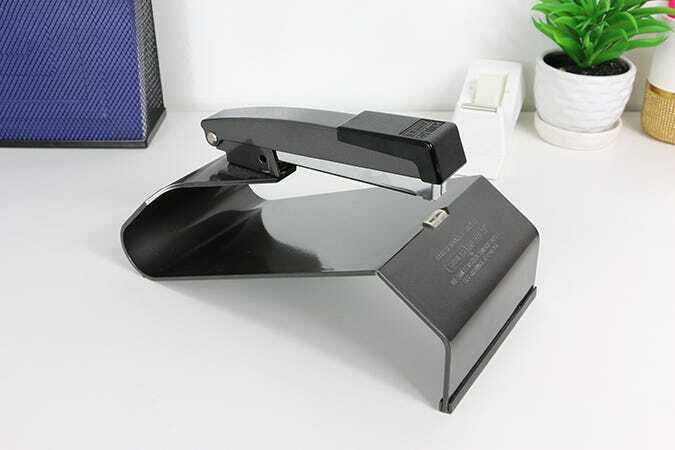 But did you know that something called a booklet stapler exists? It's the fastest and easiest way to neatly secure pages together. But don't let its looks fool you—this guy is easy to operate. Let us walk you through! But what are saddle staplers? Saddle staplers are another version of booklet staplers. Both are designed to staple together folded, book-like documents, such as pamphlets and catalogues. 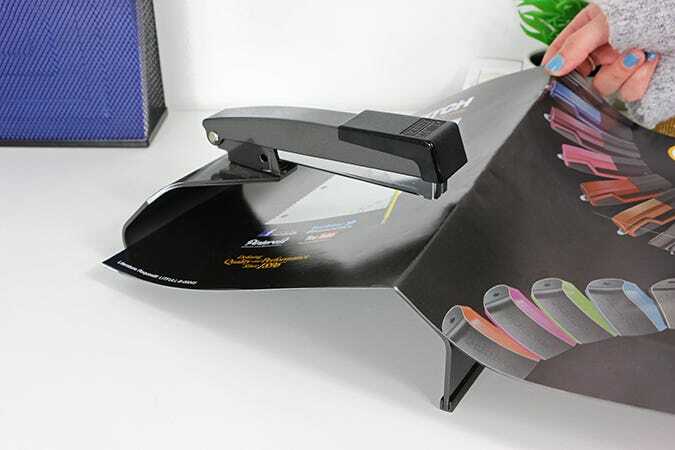 However, with a saddle stapler, there is a large V-shaped arch to allow the center of the folded document to rest on top of it. This is the type of stapler that we use in this post. 1. 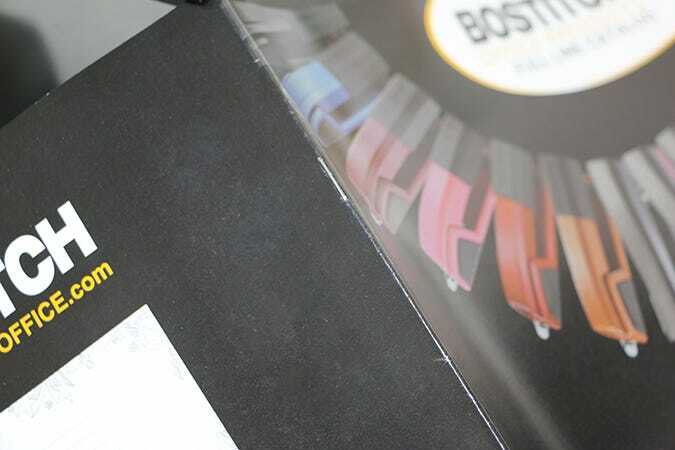 To start the process of stapling your booklet, you should first have the pages in the correct order. If you need information with the printing process of your booklet, we find this article helpful in doing so. 2. With the front and back cover page facing up, place your unstapled booklet under the stapler head. 3. Be sure to align the center of the document with the staple head. When using our standard booklet stapler, simply fold your document in half. Rest the fold along the V-arched saddle to easily line up the crease. A great feature of this stapler is the rounded throat, which allows the ends of the booklet to always fit! 4. Once you’ve located the spine of your booklet and have securely positioned it in line with the stapler, press down to tack it all together. Most booklets only need three staples along the middle; however, if you have a taller booklet, more staples may be needed. Avoid guessing and skimming the web for tedious and time-consuming hacks on how to staple a booklet. Often times the short cuts take away from the quality of your finished product. 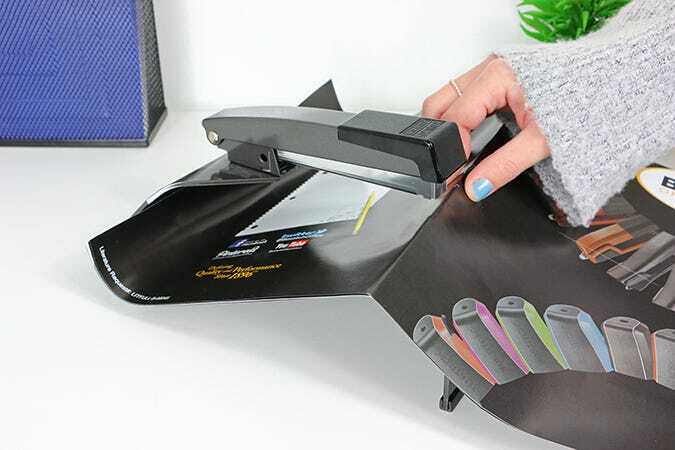 Instead use the designated tool for the task: booklet staplers! what is the model number on this saddle stapler and how many maximum pages can be stapled. Does it hold different types of staples or just one? Very informative. As a self-publisher, I am in search of a certain type of stapler. One to staple at least 100 pages, including the cover. 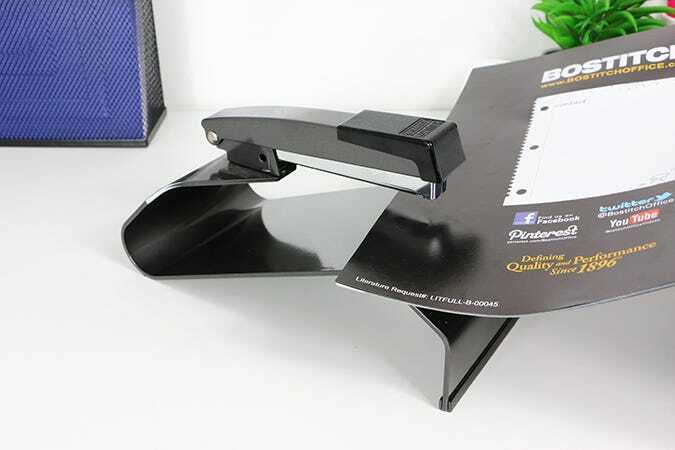 If your company manufacturers a stapler to do a work of 100 pages or more, I would like to hear from you soonest. Thanks.